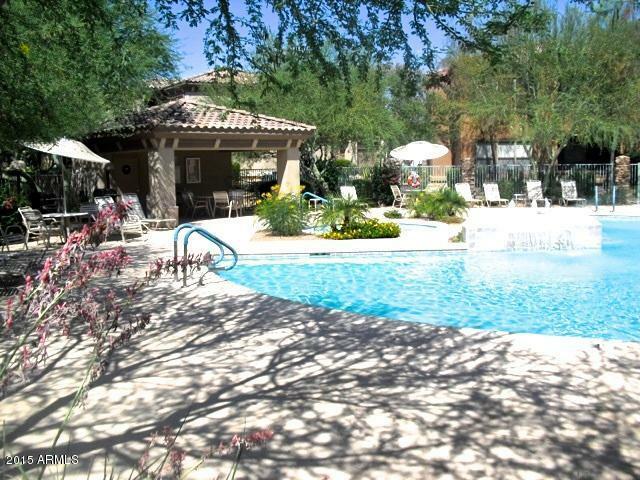 Amazing condo in the highly sought after Village at Grayhawk. 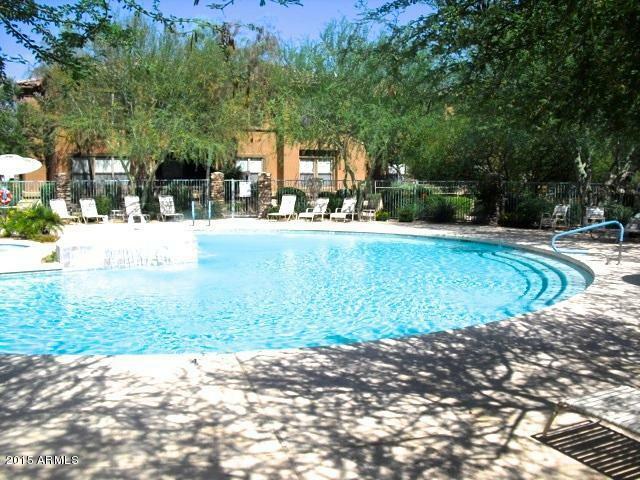 Gated community with 3 heated pools, 2 fitness centers, walking paths, parks, restaurants and shopping nearby, and close to the 101. You cannot beat this location. 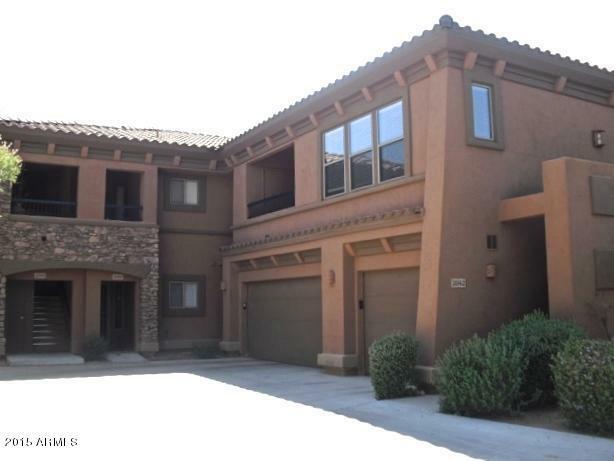 This is an upper unit that has a great covered balcony, extensive windows and lots of light. 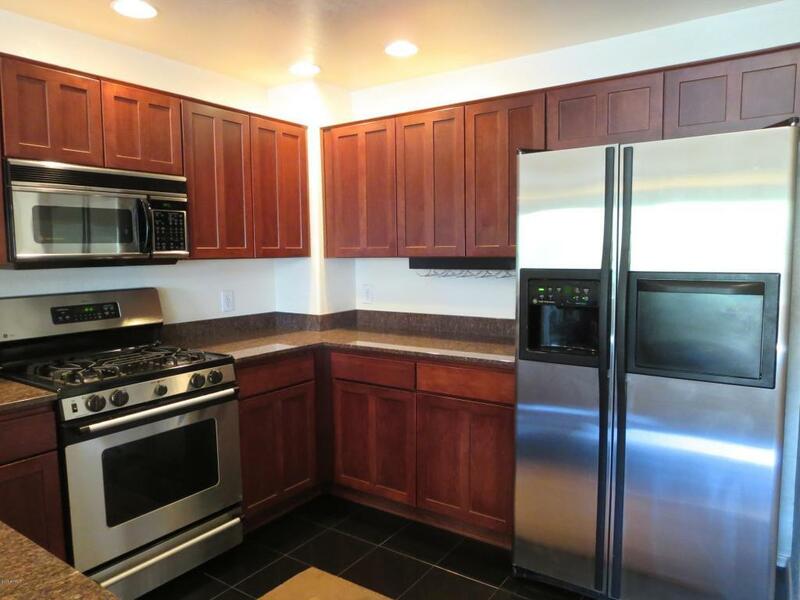 Beautiful kitchen with stainless steel appliances, granite counters, upgraded cherry cabinets, and a pantry. Open floor plan with a large living area and a stone gas fireplace. Spacious master bedroom and bathroom, with a double sink vanity and a separate toilet room. Great size master walk in closet. Laundry facilities inside, and a large storage closet off of the patio.